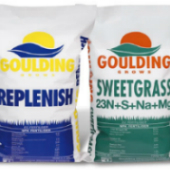 There are two fertiliser divisions within Goulding Chemicals Ltd. Please review the appropriate section for further information on the product you are interested in. This Goulding Fertilisers products section of the site contains specific sections on the benefits and uses for Trace Element Fortified NPK fertilisers, Avail and Gran-Lime. In addition we provide the analysis of all our mainline products. Avoid unnecessary slips, falls and broken bones this winter! 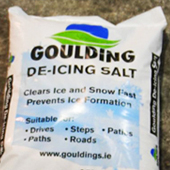 Gouldings De-Icing Salt is a course Rock salt which can be used on drives, paths, steps, roads and patios in all locations such as schools, workplaces, car parks and at home and comes in convenient sized 25kg bags.